Is there a new or used car dealership that offers a great selection of used SUVs for sale near me in Indiana? Will they have the brand of used SUVs for sale near me that I want? Will this car dealership have SUVs for sale near me that are within my budget? When you are looking for an excellent selection of used SUVs for sale in Indiana, the only dealership you need to go to Acra Automotive Group. Acra Automotive Group has four dealerships throughout Indiana are known for having a large and diverse inventory of used SUVs for sale with everything from a Buick Enclave used SUV for sale to a Toyota Rav4 used SUV for sale, including the highly desirable used Jeep Wrangler for sale. Acra Automotive Group is also known for having some of the best and most affordable prices around Columbus, Greensburg, and Shelbyville IN on our used SUVs for sale in Indiana that can fit almost anyone’s budget. The Acra Automotive Group car dealerships in Columbus, Greensburg, and Shelbyville IN take pride in our ability to find you the best deal and make your truck buying process as simple and stress-free as possible. We welcome you to view our online inventory of used SUVs for sale in Indiana that you can quickly search by make, model, and price. If you are in the area, see them in person at Acra Automotive Group in Columbus, Greensburg, or Shelbyville IN today. With almost two hundred used SUVs for sale throughout our four Columbus, Greensburg, and Shelbyville IN locations, Acra Automotive Group is sure to have the used SUV for sale that checks all of the boxes of your wants and needs in your next SUV at all of your local Acra dealerships in Greensburg, Columbus, and Shelbyville IN. Because we provide such an outstanding selection of used SUVs for sale in Indiana in a variety of makes, models, styles, and options, including used Jeeps for sale, we are confident that you will find the used truck for sale that is just right for you at Acra Automotive Group. Used Jeeps for sale in Indiana like the Jeep Wrangler SUVs for sale have numerous options available. Choices that you can make include whether you want a 2-door or a 4-door Jeep, automatic or manual transmission, full of amenities or just the essentials.Some of the highly desired features that you will find on the used Jeeps for sale like the Jeep Wrangler is a rugged four-wheel drive drivetrain and a powerful 6 cylinder gas engine at Acra Automotive Group. Heated leather seats, power windows, power door locks, steering wheel controls, and an MP3 compatible radio are a few of the options the used Jeep Wrangler SUVs for sale may come with at Acra Automotive Group. We are confident that you will find the perfect used Jeep to fit your style. One of the used Jeeps for sale in Indiana at Acra Automotive Group is a limited availability Jeep Wrangler Unlimited 4WD Sahara. 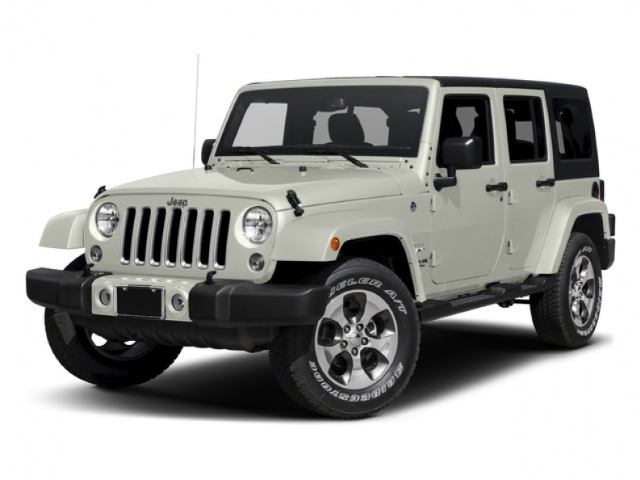 This trail rated used Jeep Wrangler SUV for sale comes with a removable hard top, a 5-speed automatic transmission, and an impressive 285 horsepower 3.6-liter 6 cylinder engine, so get ready to conquer the roads in this outstanding vehicle. 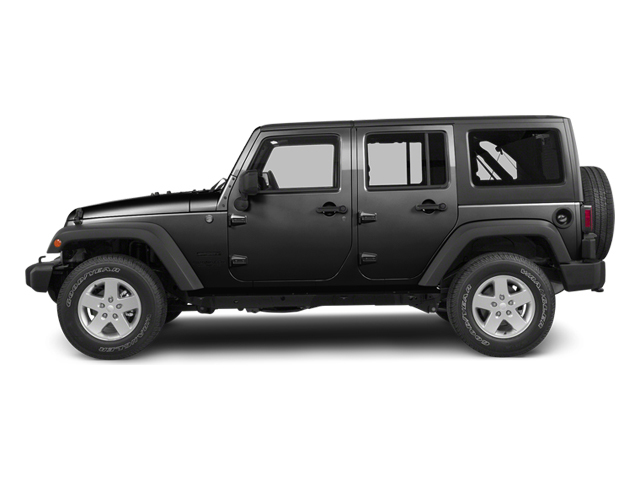 This used Jeep Wrangler SUV for sale comes equipped with key features that include a navigation system, steering wheel audio controls, voice command features, wireless cell phone hookup, and a leather wrapped steering wheel. Come to Acra Automotive Group and take this awesome used Jeep Wrangler for sale out for a test drive today. Whether it is the used Jeep Wrangler for sale or one of our other used Jeeps for sale, we have the used Jeep you have been dreaming of owning at Acra Automotive Group. Are you looking to upgrade your current vehicle and use it as a trade at Acra Automotive Group? When it comes time to buy your next SUV, it is always a great idea to trade in your old vehicle. It is not just a way to not have to worry about selling your car yourself; it can help lower your monthly payments to keep the SUV you want within your budget. We take in all types of trades at Acra Automotive Group! Getting an estimate of what your current vehicle is worth makes it easier to plan for what kind of used SUV for sale you can afford. So, when you pick out your next used SUV for sale that is perfect for you, have your sales team professional get your vehicle appraised so you can get one step closer to driving home in your next SUV from Acra Auto in Shelbyville, Acra Auto in Columbus, or Acra Auto in Greensburg, Indiana today. You will always find the best deals on used SUVs for sale, so we are worth the short drive from the surrounding areas Franklin, Hope, and Indianapolis so stop in today. Let one of our friendly sales team members help you choose the used SUV for sale that fits your needs best at Acra Automotive Group. So, if you are looking for a dealership that offers a great selection of used SUVs for sale and deals that match, come to the Acra Automotive Group dealership closest to you in Columbus, Greensburg, or Shelbyville, Indiana. Let us get you one step closer to driving home with a smile in the used SUV you have been dreaming of owning at Acra Automotive Group. Whether you are interested in the ever-popular Jeep Grand Cherokee, the fuel efficient Jeep Compass, or the rugged Jeep Wrangler, there is used Jeep that will fit just about any lifestyle need at a price you can afford at Acra Auto in Shelbyville, Acra Auto in Columbus, and Acra Auto in Greensburg, Indiana. Don’t forget to check out our inventory of used SUVs for sale online or stop in and see us at the Acra Automotive Group new and used car dealerships in Greensburg, Columbus, and Shelbyville. You can find the Acra Automotive Group car dealerships located at Acra Pre-Owned Superstore located at 2820 North National Road in Columbus, IN 47201; Acra Pre-Owned Superstore located at 1200 East State Road 44 in Shelbyville, IN 46176; Acra Chrysler Dodge Ram located at 1407 North Lincoln Street in Greensburg, IN 47240; and Acra BuyRight located at 920 North Michigan Avenue in Greensburg, IN 47240.